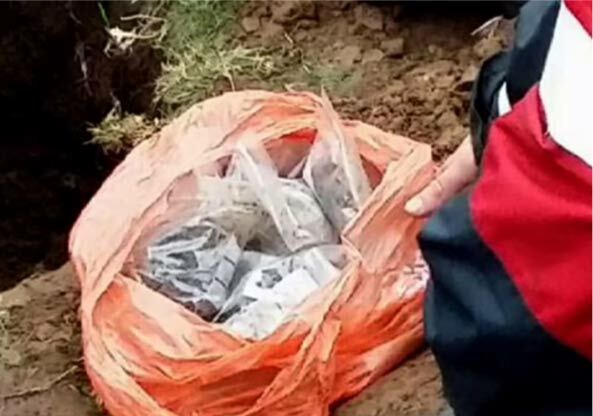 Amateur treasure hunters struck it rich when they unearthed a massive hoard of more than 5,000 silver coins during a Christmas gathering on farmland near Lenborough in Buckinghamshire, England. The coins date back more than 1,000 years and are believed to be worth more than £1 million (US$1.5 million). 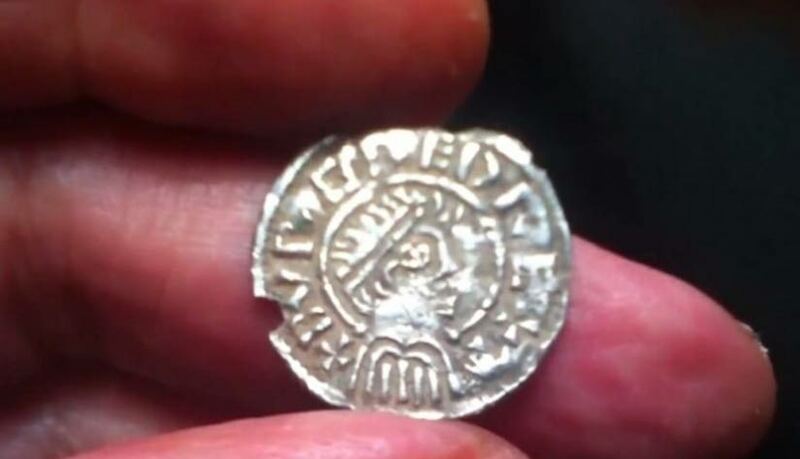 The discovery is among the largest hoards of Anglo Saxon coins ever found in Britain. According to Buckinham Advertiser , the dig was organized by the Weekend Wanderers Detecting Club and included more than 100 people from across Britain. The hoard was found inside a lead bucket 2 feet below the surface. Archaeologist Ros Tyrrell, the Finds Liaison Officer for Buckingham, was at the rally to help excavate and record any finds made on the day. “This is one of the largest hoards of Anglo Saxon coins ever found in Britain, and when the coins have been properly identified and dated, we may be able to guess at why such a great treasure was buried,” a Bucks County Museum spokesman said. The coins are extremely well-preserved and show the faces of some of the kings of England, including Ethelred the Unready (978-1016 AD), who is credited with introducing the prototype for the English Grand Jury, and Canute (1016-1035 AD), a king of Denmark, England, Norway, and parts of Sweden, who some historians maintain was the most effective king in Anglo-Saxon history, despite not being Anglo-Saxon. “At the moment it looks like a find of national importance,” said Welch, who described the discovery as being equal in importance to the Staffordshire Hoard found by a metal detectorist in 2009. The Staffordshire Hoard is the largest hoard of Anglo-Saxon gold ever found, consisting of more than 3,500 items, that are nearly all warlike in character. The discovery was made near the village of Hammerwich in Staffordshire in July, 2009, and is now on display in the Birmingham Museum & Art Gallery. The latest discovery has been sent to the British Museum for conservation and identification and it is hoped that a museum will then purchase the collection so that they will be made available to the public to see. I'm sure the "royal family" will have their lunch hooks into that pot. Finders keepers....except when it's gold or silver. To me, it’s silly to report a find to anyone if it’s on my property. If I searched someone else’s property at their request, I’d report a find to them, naturally, but not to any “official”.